Oliva J. Beaulieu, age 88, passed away unexpectedly on Monday, February 4, 2019. He was the husband of Clare (Donnelly) Beaulieu, with whom he spent 60 wonderful years of marriage. Born in Taunton, Mass. on December 18, 1930, he was the son of the late Alphonse and Alma (Maltais) Beaulieu, who emigrated from Quebec in the 1890s. An exceptional student-athlete, Oliva was drafted to play professional baseball at the age of 16, but chose to pursue his education. He was later offered a football scholarship to Brown University, but had to decline because even the incidental costs of an Ivy League school were beyond his family’s limited means. Instead, he attended the newly founded Stonehill College in Easton, Mass., commuting by bus between home, school, and a full-time job he held to pay his tuition. He earned his Bachelor’s degree in English, the first member of his family to achieve that distinction. He remained a proud and active Stonehill alumnus for his entire life. After graduating, he enlisted in the U.S. Navy, completing the Officer Candidate School course, then serving in the Philippines. After two years of service, he was honorably discharged with the rank of Lieutenant. He went on to a distinguished career in business, and was universally recognized by his colleagues for his extraordinary energy, skill, and integrity. He was also active in several charities, including the Boys’ Towns of Italy, from which he received Man of the Year honors, and served in a number of local community organizations, in which he was invariably elected to leadership roles. He had a capacious mind he read at least a book a week throughout his life, a sharp sense of humor, and a boundless joie de vivre. Above all, Oliva was a family man. Impressive as his career success was, he always put family first. He was a devoted and loving husband and father, grandfather, and friend. He loved traveling with his wife Clare, with whom he made over a dozen overseas trips, as well as numerous visits to less far-flung destinations, beginning with their honeymoon at Niagara Falls. He relished time with his children and grandchildren, and never ceased to delight in their individual personalities and accomplishments. He always considered them to be his proudest legacy. Julianne, Olivia, Joseph, and Mel), as well as his brother Albert J. Beaulieu of North Carolina. 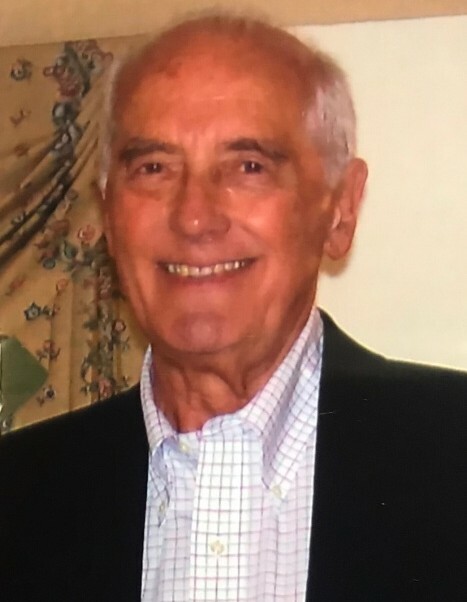 Friends and family are invited to call at the ANCTIL-ROCHETTE & SON FUNERAL HOME, 21 Kinsley Street, Nashua, on Friday February 8 from 4 p.m. until 7 p.m. Oliva’s funeral service will be held Saturday February 9 at 10 a.m. at Immaculate Conception Church, 216 East Dunstable Road, Nashua. Burial will follow in St. Louis Cemetery, 752 W. Hollis St., Nashua. As an expression of sympathy, donations may be made in Oliva’s honor to The Stonehill College Fund, Office of Advancement, 320 Washington St., Easton, MA 02357.